Medical College Admission Test Result Notice. Directorate of General Health Services (DGHS) will be published medical admission notice 2016-2017 Session. Medical College Admission Test Notice also found our website. You can also found here Dhaka Medical College (DMC) and others medical college admission notice. 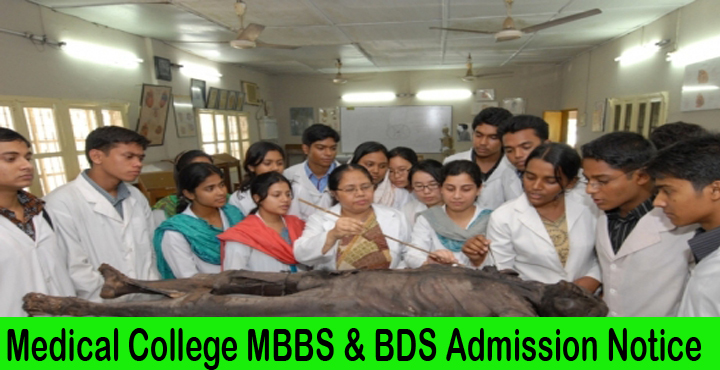 We are published medical college MBBS and BDS course admission test notice. We are also published medical college admission test date and time. Medical college admission test seat plan and medical college admission test result. So, you can get here information about Medical College Admission Test Result Notice. Dental College and Dental Unit admission test notice and result also available here. The authority will be published admission notice soon. Generally Medical College admission notice has been publish in the month of August. So, in this year you can found admission notice in this time. We are upload here all kinds of information about medical college admission. See popular medical college in Bangladesh. 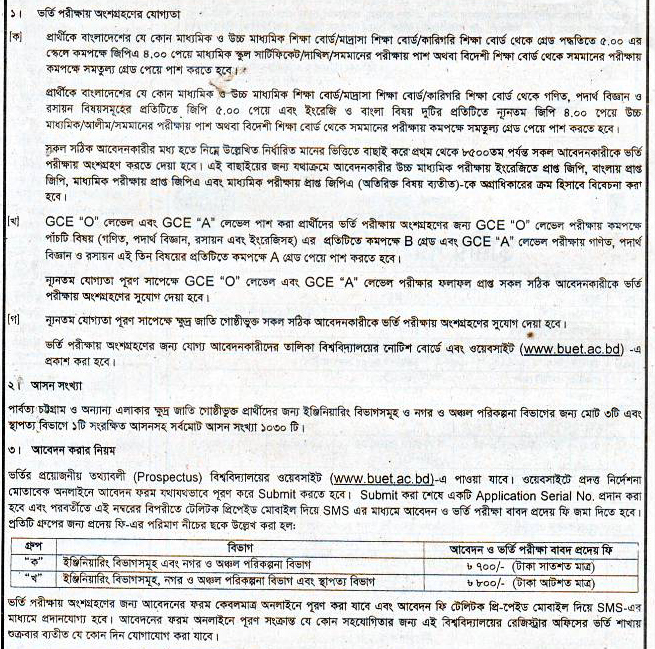 Shaheed Suhrawardy Medical College admission. Sir Salimullah Medical College admission. MAG Osmani Medical College admission. Dinajpur Medical College admission 2016. Pabna Medical College admission 2016. Jessore Medical College admission 2016. Khulna Medical College admission 2016. If you are a Bangladeshi Citizen then must be full fill following requirement. You must be passed SSC exam in 2013-2014 in Science group. HSC passed in 2015 or 2016 with Physics, Chemistry and Biology Subjects. If you are passed SSC or equivalent degree before 2013 then your are not eligible for application. SSC and HSC exam minimum grade 8.0 in both exam. But you have to obtain minimum 3.5 in particular exam. Tribal and other quota candidates must be obtain 7.0 in SSC and HSC or equivalent exam. The authority has been announce admission apply date and time. We are also published application date and time. In the month of November admission test will be held. So, the admission notice has been published very soon. If the notice has been published we are upload it here. So, you will get all kinds of information. Finally you face to admission test. If you obtain good marks in this exam then you can admit into a medical college. You can also admit a medical college university by your merit list. If your merit list is well then must be admitted into a famous and reputed medical college. Medical College Admission Test Result Notice. Authority has been published admission test result. Admission test result will be published in their website. We are also published admission test result. As a result your will see your result in our site. The result will be published in the month of November. So, you can see your result on this time. If you face any trouble to apply then contact with them. They are try to solve your problem. You can also visit our site for more information. When the notice will be published you can see it here. Finally we are update all kinds of information in our site. As the result will be published in the month of November. So, the result will be found on this time. Submit your application in right time. Need more Information? Application time and date will be found here. So, you can apply from our site. Application process are found in their official website. If you want to visit their site then click here. If you need more information then contact them. Admission related all right reserved by Directorate General of Health Services (DGHS). So, you must be contact with them by email. Yo can follow us in social media. Like our Facebook page. You can also subscribe our blog to get information at first. We are update our post regularly. So, here you will get latest news. Any kinds of problem or trouble to visit our site. You can inform us by email. Admission result and merit list also available here in time. All unit admission result are found here. So, visit our site regularly. Medical College Admission Test Result Notice. If you think any kinds of news on this post are false. Then inform us. We are try to update this news. In the past admission test was held on the month of November. But this year admission test will be held in the month of October. Please take to preparation for admission test. The admission test will be competitive. So, you must be face difficulties. If you don’t obtain good result then you don’t admit into a medical college. So, it is need to obtain good marks in admission test. So, visit our site and get update news. We are update all kinds of news in this tropics.